This page has news, reports and plans that affect the lives of people with a learning disability in Stoke-on-Trent. Reach have written this summary about the Big Health Review 2012 to share with people with learning disabilities and carers who took part in speaking up about health services in Stoke-on-Trent and Staffordshire. Click here. 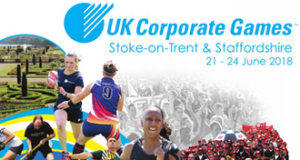 The JSNA (Joint Strategic Needs Assessment) is a big report by the city council and the NHS about the services some people need to stay healthy, happy and safe in Stoke-on-Trent. Click here to read or download a clear words and pictures summary of the JSNA for 2010 to 2015. It has all the main points in the JSNA. Click here to read or download the learning disabilities chapter of the 2010 to 2015 JSNA in clear words and pictures. This is the clear words and pictures JSNA (Joint Strategic Needs Assessment) for 2009. Click here to read or download the 2009 JSNA. Valuing People Now is the government’s big plan of what life should be like for people with learning disabilities. Click here to read or download Valuing People Now in clear words and pictures. Valuing Employment Now is the government’s big plan for making sure adults with learning disabilities can get jobs. Click here to read or download Valuing Employment Now in clear words and pictures. 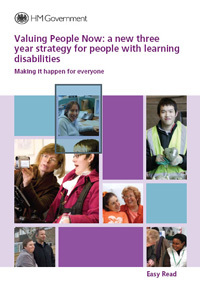 Stoke-on-Trent city council and the NHS made a strategy (plan) for supporting people with learning disabilities. 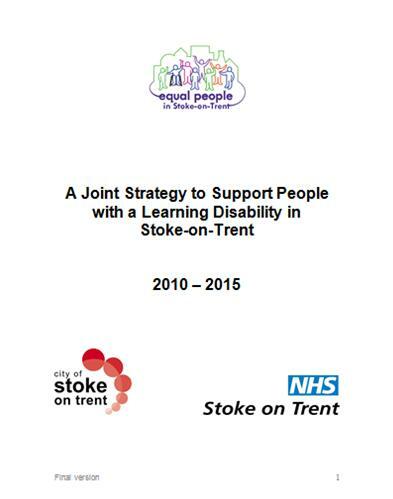 Click here to read or download the Joint Strategy to Support People with a Learning Disability in Stoke-on-Trent (2010-2015). 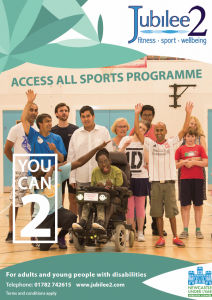 Access All Sports Programme – An exciting programme of activities for adults and young people with disabilities. All sessions are held at Jubilee2 and include boccia, goalball, rounders, short tennis and much much more!